The above quote was biographical information for Mrs. Archibald’s status as “Delegate at Large” and was found amongst the material lent to the University Archives and Special Collections. According to her Attestation Papers she was five foot five, had a brunette complexion, grey eyes and dark brown hair. She was a resident of Saskatoon and was member of the Church of England. 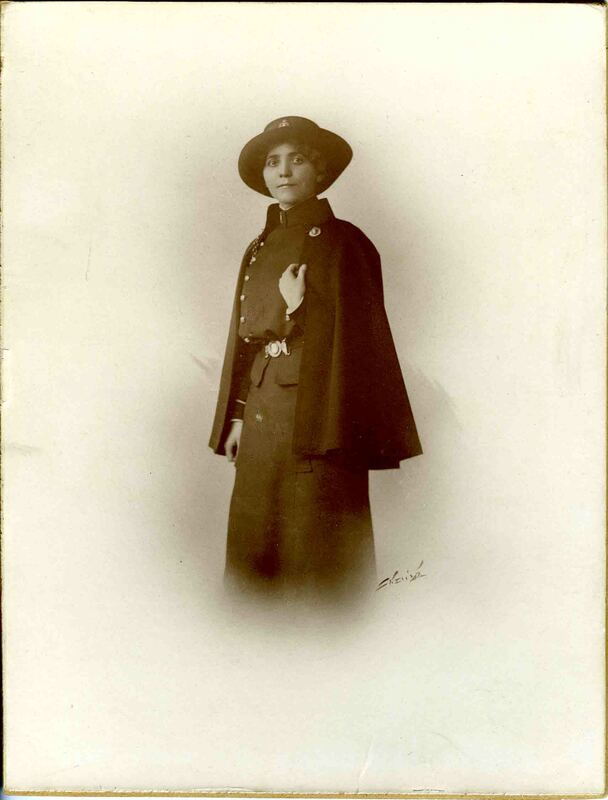 She volunteered for the Canadian Over-seas Expeditionary Force on February 24, 1915. Through the above link you can read the correspondence from Louise Brock to her fiancé S.C Archibald. The letters, cards and telegrams originate from a variety of locations including Ottawa. Halifax, London France, Egypt, Greece and at times in transit. They cover years 1915 to 1917. There is also correspondence sent to Nursing Sister Brock, photographs, a copy of the Balkan News and material regarding the death of L.C. McColl. Content was scanned from the Louise Brock fonds, MG 516, University Archives and Special Collections.